2012 has been quite the year for technology and its advertising. Over the past 12 months, we’ve witnessed both Samsung and Apple release major products, and dueling commercials to go along with them. As usual, Unruly Media created a list of the most-shared tech ads in social media of the year. You may be surprised to find that Samsung made the list, while Apple wasn’t included at all. Google wins for having the most spots on the list, with some of their April Fool’s ads being featured. Google released this April Fool’s Day ad introducing a fake new keyboard that uses Morse code. It even features LL Cool J, referred to by his real name, as the product lead. Google outdid itself this year with its doodle for Valentine’s day. The minute-long cartoon is a cute depiction of a boy trying his hardest to impress a girl he likes. Microsoft was praised for being more innovative with its ads this year, but unfortunately increased creativity has not (yet) led to a significant increase in sales. 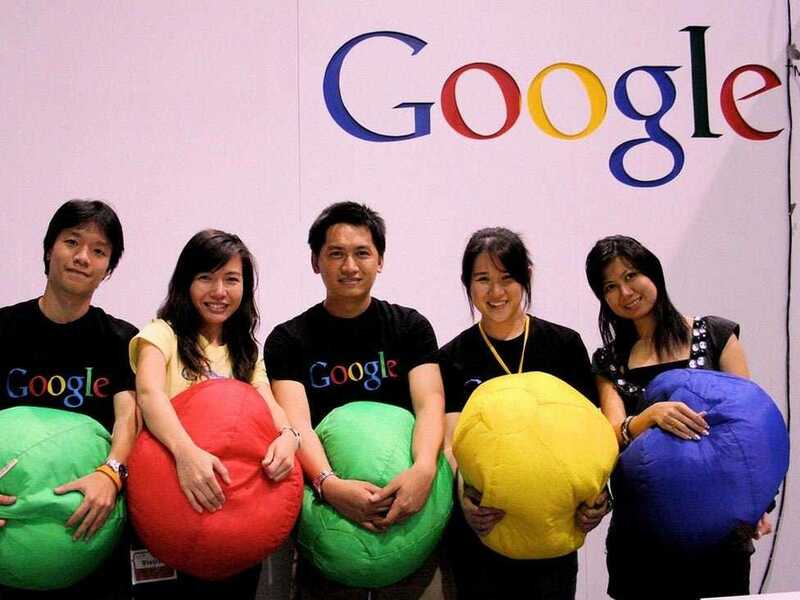 According to Unruly Media, which tracks not only what people watch but also what they share, Google was the most shared social video brand of 2012. Thanks to campaigns like “Project Glass: One Day,” the company’s videos were shared a whopping 196.8 percent more than last year. Someone’s been doing his YouTube homework. 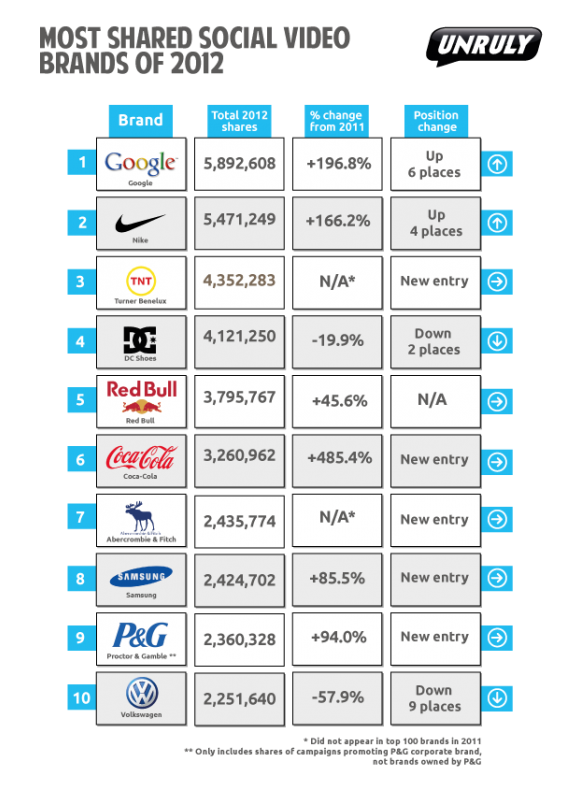 Five newcomers broke the top 10, including TNT, Coca-Cola, Abercrombie & Fitch, Samsung, and P&G. Volkswagen, which went viral last year with its Super Bowl sensation, “The Force,” dropped nine spots to number 10. 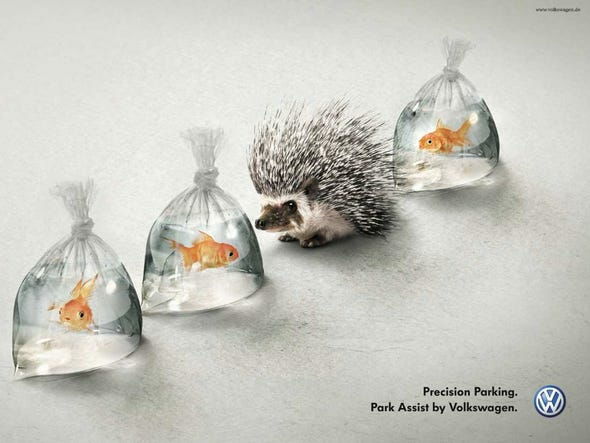 A clever new Volkswagen print ad compares the difficulty of parallel parking to how tough it would be for a spiky hedgehog to squeeze between two goldfish in vulnerable plastic bags. The ad points out that with the help of Volkswagen Park Assist, complicated parallel parking situations can now be easily dealt with. Gripe and moan about it all you like, but public transport is a fundamental part of keeping any big city running—and this data visualization shows just how complex New York City’s public transit setup is. Pretty insane chart from Horace Dediu at Asymco. He compares Samsung’s mobile operating income to Google’s overall operating income. As you can see, Samsung’s mobile operating income will soon be twice as much as Google’s overall operating income. Samsung’s operating income is almost entirely because of Google’s Android. Here’s a look at how Google has been swallowing up the print business. Its ad revenues in the first half of this year were greater than the ad revenues of newspapers and U.S. magazines, according to German statistics site Statista (via Slate). Some people think the pay TV business is on its deathbed. These numbers from Bernstein Research’s Craig Moffett, via Peter Kafka, don’t hurt that argument. As you can see, subscriber growth has been just about flat for the last two years. This is good news because it means people aren’t ditching pay TV in droves. But it’s bad news because it means the industry is stuck. Appnexus, the online ad marketplace intermediary, hosted an annual summit in New York yesterday and disclosed some interesting metrics about the size of its business as it relates to Facebook. AppNexus is quickly ramping up on the Facebook Exchange, where it is one of approximately 15 real-time bidding partners. It now has exposure to 7 billion daily impressions on FBX, up from zero in July — a large and important new inventory source. We recently told you that FBX has “quadrupled” the size of the RTB market, and that Facebook believes the total ad exchange opportunity could be as big as $2 billion annually. Apple says it sold three million iPad Minis and fourth generation iPads from Friday to Sunday. For some context on how impressive those sales are we’ve charted them against shipments from other tablet makers in the third quarter, using data from IDC. As you can see, only Samsung had better sales in three months than Apple had in three days.